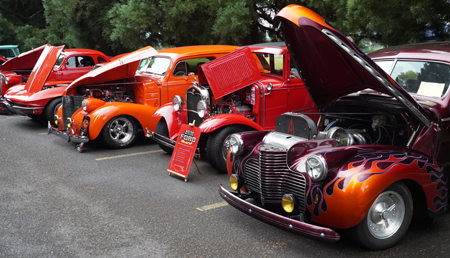 The 5th Annual Veterans & Family Center Cruise In was a grand success even with Mother Nature's threat of rain! 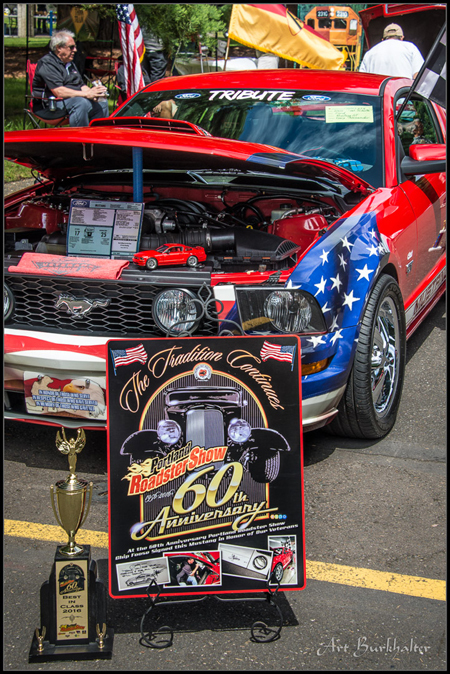 We still had about 165 show cars, and 55 motorcycles who were escorted in by the Beaverton Police. The Run was organized by the Disabled Veterans Motorcycle Club. There were 20 Vintage Military Vehicles and active military vehicles from our military branches. The Beaverton Police had vehicles and K-9 dogs, and the Washington Co. Sheriff's SWAT car was there along with TVFR fire trucks. We had 42 vendors with informational booths and retail booths and over 2000 folks roaming around throughout the day, with no drops of rain to be seen! The Vietnam Veteran Tribute was awesome! We had several high ranking retired military personnel, including Mike Donahue, and other dignitaries who spoke. The Portland Police Highland Guard bagpipers were there along with a full color guard, the Fallen Soldier memorial & POW/MIA Table, as well as a beautiful performance of the National Anthem. 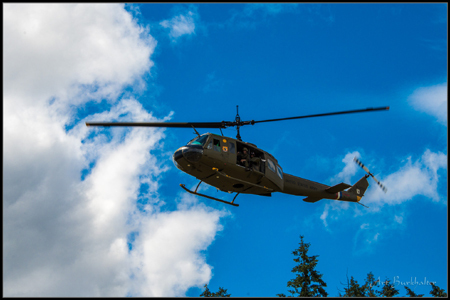 To top if off we had a flyover in the missing man formation performed by the West Coast Ravens and a 1971 Vietnam Huey landed after circling twice. To hear pipers play Amazing Grace and then the 21 Gun Salute and Taps was absolutely beautiful. It was a very moving ceremony and will be a focal point of our future Cruise Ins where we will Honor all Veterans. PLUS we were able to raise over $34,000 through trophy sponsorships, the BBQ, Raffle, Car and Booth registrations and donations. So thank you for your support of the VFC Cruise In! As you know it will all stay at the VFC to directly assist our 80 homeless veterans and their families. Please take a minute to let me know how you think the event can be improved for next year (if you were there). I've had several constructive notes and I welcome more!